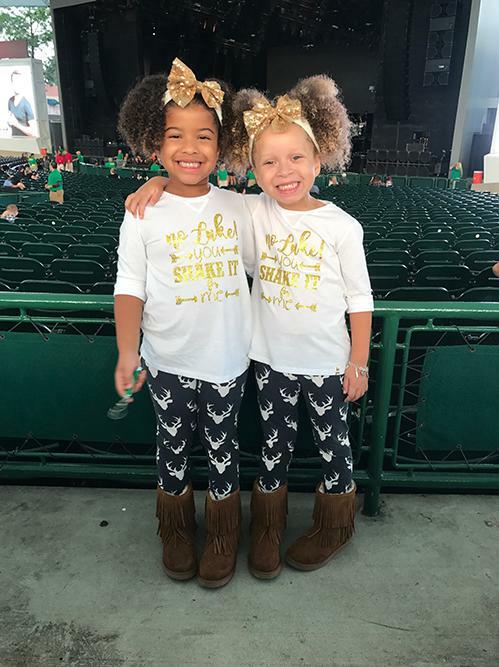 LEAGUE CITY, TX (KTRK) -- A set of biracial twins have become social media stars this week, but the Houston area has its own set of unique twins with different skin tones. 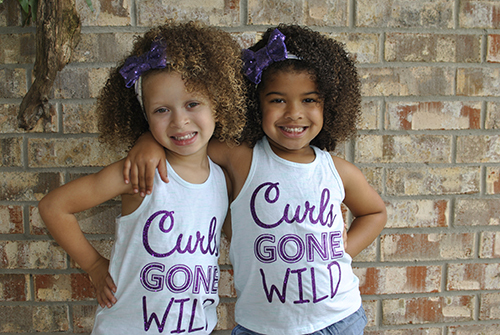 Meet 5-year-old Brooke and Blaire of League City. 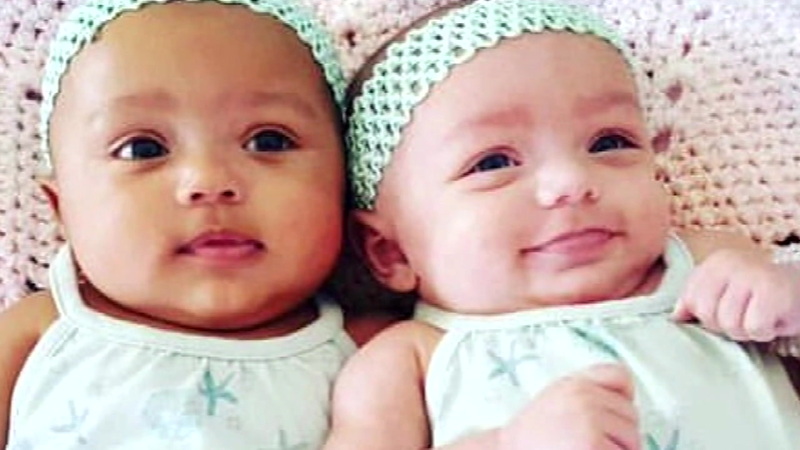 While she was pregnant, Andrea Drake, the girls' mother, saw a story on Good Morning America about another set of twins with different skin tones when she was pregnant. 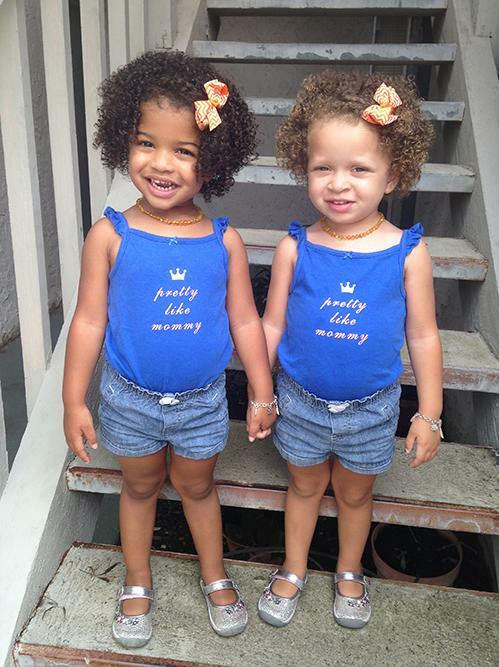 "Right then, I had a feeling that our twins were going to come out the same way," she told ABC13 in an email. 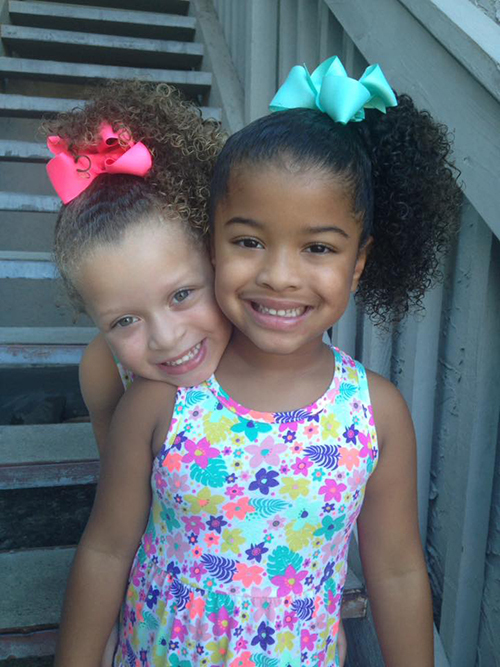 Just months later, Drake's premonitions came true when she gave birth to two beautiful girls with slightly different skin tones. "When they were still babies in the stroller, strangers would say, 'Look, it's twins,' but then look shocked or confused when they saw them up close," Yates recalled. "Soon, quick runs to HEB and Target turned into long, drawn-out trips because I was stopped so many times by people asking questions." Drake said that most people are sweet and curious when asking about the twins, but they do get bizarre questions at times. "My mother jokes that going out with the twins sometimes is like a reality show with all the attention they get and having to answer peoples' questions," she added. Drake and the twins' father stress to Brooke and Blaire that they are beautiful, special and "just the way God made them."